Auguri di Pasqua! Joyeuses Pâques! Auguri, Best Wishes for Easter the old Italian saying and the wonderful Easter we had in Rome for so many years. At this time of the year Rome is in flower and many neighbourhood streets have flowering trees, Wisteria is also abundant. 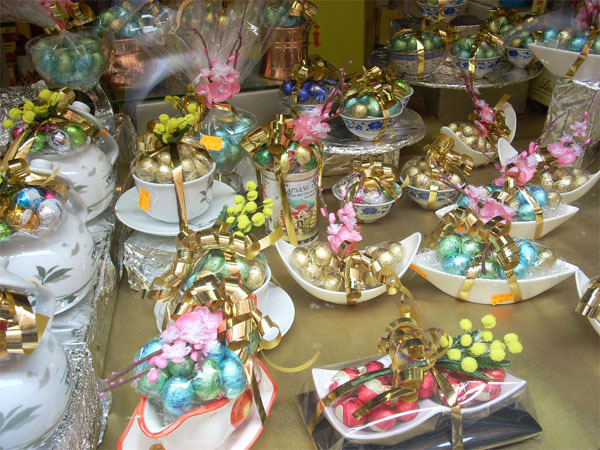 Shop windows have enormous decorated chocolate eggs. Many Enotecas, Wine shops also sell good quality artisan chocolates and other sweets for Easter, not to mention all the regional Easter pastries and cakes. Italy is still to this day a country of strong traditions. 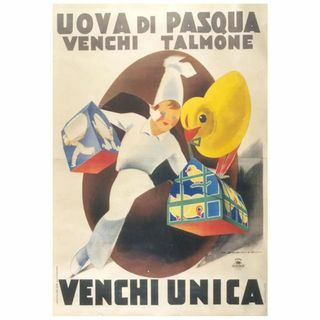 Pasqua, the Italian word for Easter, dates back to 1342, when it referred to the “festa che commemora la liberazione dalla schiavitù d’Egito” (feast that commemorates the liberation from Egyptian slavery). Lamb or “paschal” blood had marked the doors of Hebrew families exiled in Egypt and spared their first-born sons. Somewhere in time Pasqua became synonymous with the Christian celebration of Easter. “Natale con i tuoi, Pasqua con chi vuoi” (Christmas with your family, Easter with whomever you want), Italians say. An invitation to Easter dinner with friends in Italy is a special treat indeed. After forty days of fasting during Quaresima (Lent), Italians celebrate with foods that form a mouth-watering vocabulary of their own. Throughout Italy the traditional main dish is agnellino al forno (roasted young lamb) or capretto (baby goat). Rome’s Easter specialty is abbacchio, a suckling lamb no more than a month or so old. Because it has ingested only its mother’s milk, its meat is especially tender. 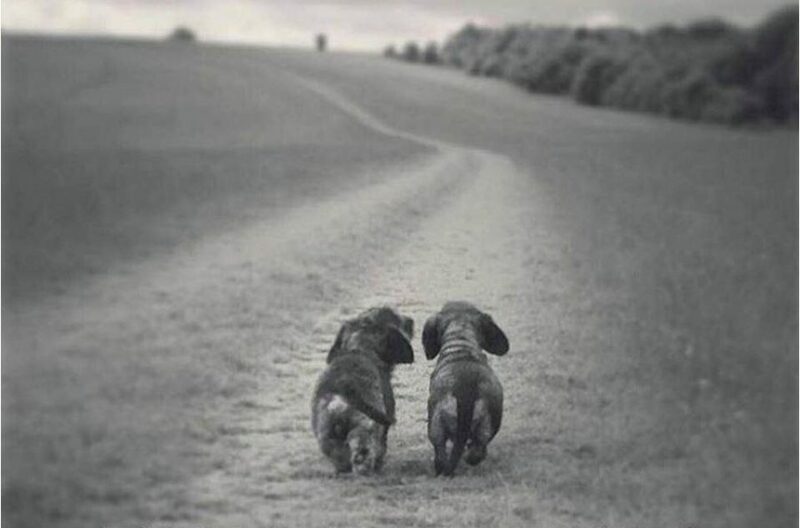 The name comes from the Latin baculum, the cudgel used to kill lambs. Until a few decades ago, shepherds would lead their flocks into Rome every Spring so people could select one for the annual slaughter. The word abbacchiato became slang for someone beaten down, physically or mentally. “Pasta matta” (crazy dough) encases torta Pasqualina (Easter cake), a savory pie from Piedmont and Liguria with whole eggs baked inside. Italy’s traditional Easter dessert is Colomba cake, a sweet, eggy, yeasted bread topped with sugared and sliced almonds. Commercial bakers shape this confection into a colomba (dove), the symbol of peace and renewal, but home bakers usually do an oval approximation. In Italy uova di Pasqua (Easter eggs) come only in chocolate. Festive displays decorate coffee bars, pastry shops, supermarkets, and confectioneries in the weeks before Easter, with some mammoth eggs weighing in at nearly 18 pounds. Although most commercial eggs contain a child’s toy or trinket, Easter eggs aren’t just for the kids (bimbi) in Italy. In the time of the Renaissance nobles encased works of art and other extravagances in enormous chocolate eggs. In Rome for example, prepare for days of asparagus, artichokes alla Romana, boiled eggs and frittata of all kinds, ricotta and other cheeses, torta pasquale, olives, lamb, and cold-cuts ad infinitum, of course wine.